KALE is in the same family as cabbage, broccoli and collards. Depending on the time of year, kale can have different flavors. Kale is most sweet and delicious after a frost. The fall and winter months are peak harvest times. 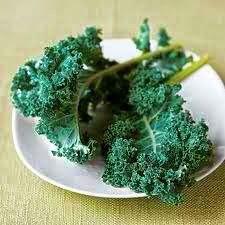 ACE up your immune system with the high levels of vitamin A and vitamin C in kale. Kale is delicious served in soups or sautéed. Kale sautéed in olive oil with fresh garlic and topped with Parmesan cheese served with pasta is most delicious!